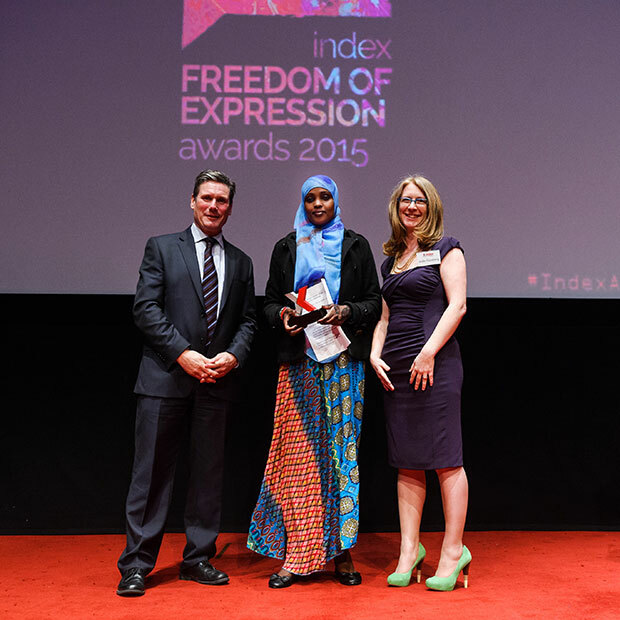 A Kenyan woman speaking out for women in one of the world’s most dangerous regions and a female journalist who exposed an unreported uprising in Saudi Arabia are among the winners of this year’s Index on Censorship Freedom of Expression Awards. The awards were presented at a ceremony at The Barbican, London, hosted by comedian Shappi Khorsandi whose father Hadi was forced into exile from Iran because of his satirical writing. 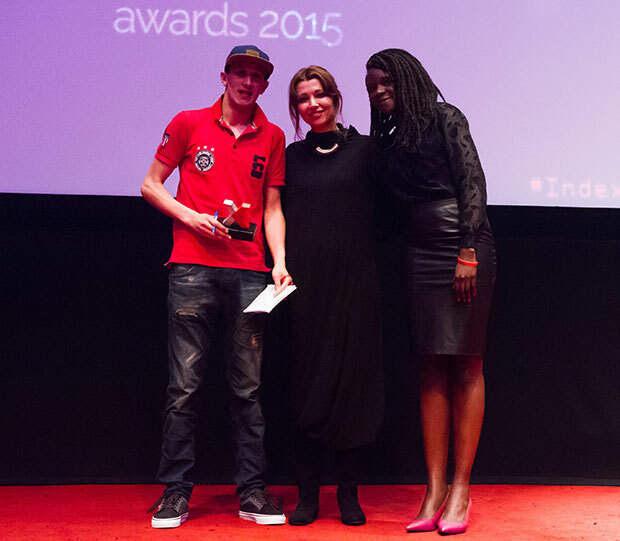 Awards are presented in four categories: journalism, arts, campaigning and digital activism. 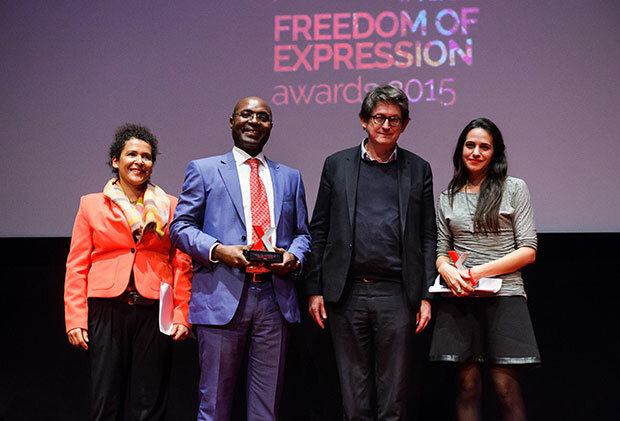 The winners were Saudi journalist Safa Al Ahmad and Angolan reporter Rafael Marques de Morais (journalism – jointly awarded); Moroccan rapper “El Haqed” (arts); Kenyan women’s rights campaigner Amran Abdundi (campaigning); and Hungarian freedom of information website Atlatszo (digital activism). Angolan investigative reporter Marques de Morais has been repeatedly prosecuted for his work exposing government and industry corruption and will go on trial on 24 March charged with defamation. “Rafael is a very important individual doing very important work in a very, very difficult environment,” said judge Sir Keir Starmer QC. Marques de Morais dedicated his speech to the Zone 9 group of Ethiopian bloggers currently in jail “for the crime of exercising their right to freedom of expression”. The winner in the campaigning category, Amran Abdundi, is a women’s rights activist based in north-eastern Kenya and runs a group helping women along the dangerous border with Somalia, where terrorism and extremist violence dominate. Judge Martha Lane Fox said: “Amran Abdundi was a standout candidate for me. She is doing something incredibly powerful in an unbelievably complicated and dangerous situation.” Abdundi dedicated her award to the “marginalised women of northern Kenya… who will now know that their struggles and their efforts to fight for their rights are being recognised internationally”. Arts category winner Mouad “El Haqed” Belghouat is a Moroccan rapper and human rights activist whose music highlights widespread poverty and endemic government corruption in Morocco. He has been imprisoned on spurious charges three times in as many years, most recently in 2014. Belghouat said in his acceptance speech: “I have been through difficult times: I was jailed, fired from my work, rejected by many friends. I am still forbidden to sing in my own country. But after all that I am still determined that I will never change my position. I will fight for freedom, equality and human rights for ever.” Lane Fox said Belghouat had taken his music and “translated it into a kind of online activism, but then, crucially, mobilised people in the street”. 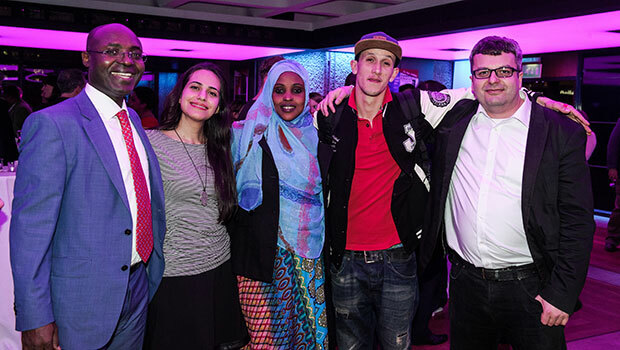 The awards were presented by the judges along with special guests including Guardian editor Alan Rusbridger. A special award was also given on the evening to honour the many Azerbaijani journalists and activists jailed or forced into exile or hiding following a recent crackdown by the government. 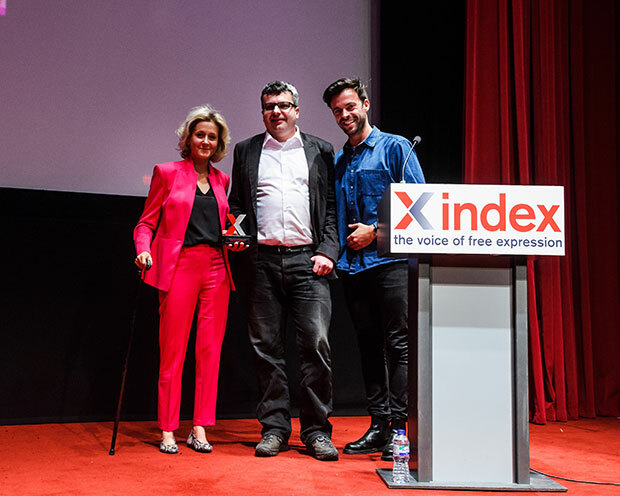 Former award winner and journalist Idrak Abbasov, who was forced to flee Azerbaijan last year, accepted the award on behalf of all those facing persecution in the country. “I call upon the world community to help Azerbaijan… so that our colleagues might be released and that our country might become a normal state in which we and others might live freely,” Abbasov told the audience in a video speech. The evening featured an exhibition of specially commissioned cartoons by international cartoonists, reflecting on the past 12 months for free expression. Most of the artists had direct experience of persecution over their work, including Syrian political cartoonist Ali Ferzat – a former Index award winner – and Malaysia’s Zunar. “In the wake of the attacks on Charlie Hebdo, we wanted to pay homage to the work of cartoonists who are so often the first to face censorship in any move to stifle free expression,” said Index’s Jodie Ginsberg. An earlier version of this article stated that Rafael Marques de Morais will go on trial on 23 March. The date is 24 March. Congratulations to all winners and particularly to the Moroccan rapper Mouad Belghouat (Nicknamed El Haqed). Long Live the People!